The volume explores contemporary women’s cinema in relation to issues related to gender and globalization. The anthology gathers scholars coming from several parts of the world – from Italy to the US, from Turkey to Iran and Greece, from New Zealand to Argentina, from Germany to Canada. 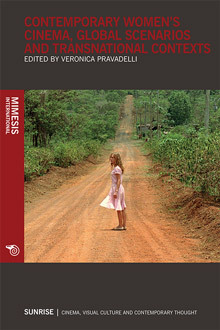 Such a global perspective is mirrored in the book’s content: essays consider women’s production in the domain of cinema by looking at various films and filmmakers around the globe and by tackling the relation between national, transnational and global contexts in film production. What comes out is a multifaceted picture showing that women filmmakers, and especially non-Western filmmakers, are key social actors able to narrate the complexities of the current geopolitical condition and of its subjects. Veronica Pravadelli is a Professor of Film Studies at Roma Tre University and a former Visiting Professor at Brown and New York University. She has written many books and articles on Feminist Film Theory and Women’s Cinema, film theory, Hollywood cinema and Italian Post-Neorealist cinema. Her most recent publications are Le donne del cinema (2014) Classic Hollywood (2015) and Women’s Cinema and Transnational Europe (ed., 2016).